Have I got a treat for you today! I am so excited for this new game I created… Anyway…I still have football on my mind, with the upcoming Superbowl. Personally I am not really a fan of the NFL. I am a huge college football fan (Go Irish!) but the NFL seem like a bunch of meanies. I say that, yet I have friends from college who played in the NFL and I know that is not entirely the case…but, that is my story and I am sticking to it -the NFL are a bunch of meanies. 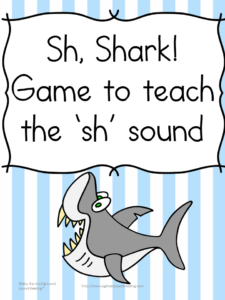 Anyway, today I created a sight word football game for you. 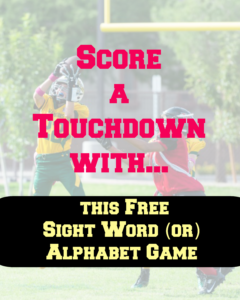 If your kids are anything like mine, they love to play football guys and they will love the educational version of a sight word football game that I created for you. 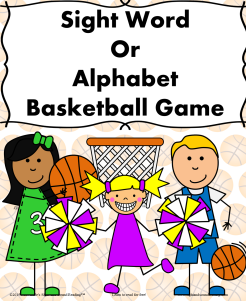 This game can also be modified to be played with the alphabet, and the sounds of the letters too. 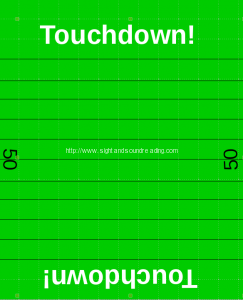 To play the game, students line up on a football field and if they read the sight word correctly, they get to move down the field to score a Touchdown. If they answer incorrectly, they move backward. Students may also pick up a penalty -so watch out!! 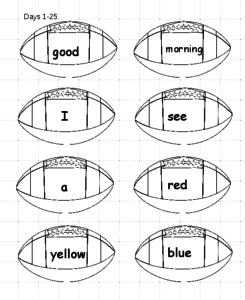 All Dolch Sight Words are included pre-primer through level 3 – so, this activity is great for students from preschool through second grade. Not a football fan? I’ve placed similar games for basketball, baseball, soccer in our premium membership. (The football game is in the freemium membership). Also, I found a few other fun indoor games that you can play with your little one! We had a snow day today, or, really a cold weather day. Thank goodness I found these fun things to do with my little ones indoors! Enjoy! I am so sorry to hear about your computer – but yes, small blessings!! Aww, thanks..! Just another storm to weather…Thanks for stopping by! Yes…I am just thankful everyone is okay.. Thank you for stopping by! I would love a free download of your sight words football game to use with my special education students. It looks great. Would love the football game! I LOVE FREE!! THANKS BUNCHES! !